As a thirty-six year veteran of the civil service, please allow me to comment on your recent article in The Star (Emphasis on raising standards, 30th January 2010) concerning the racial composition of the civil service. I must say that I found your article a rather sad commentary on the state of race relations in our country today. Furthermore, it encapsulates the very reason why our civil service is the way it is. If I summarize your position correctly, it would sound like this: while a racially balanced civil service is important, is a much-needed requisite in serving the country’s multiracial population and is demanded by our Constitution, it’s not going to happen because the non-Malays are not patriotic enough. 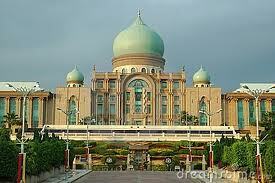 Therefore the focus should now be on how to make the most of a predominantly Malay civil service! This is both unfair and disingenuous and mocks the high principles which you yourself set out as important foundations for our civil service. It is interesting that you saw the need to belabor the point about how important it is to have a civil service that reflects Malaysia’s ethnic composition. Most right thinking people would, for all the reasons that you yourself highlighted. You also made reference to the constitutional guarantees concerning equality of treatment and non-discrimination. However, you then went on to offer excuses why the civil service is not representative of our population in general, repeating the old canard that non-Malays are not interested in joining the civil service. For as long as I can remember, those who seek to explain away the glaring lack of non-Malay participation in the civil service have used two arguments – a lack of patriotism and cultural predisposition. The first suggests that non-Malays, and particularly our citizens of Chinese ethnicity, are driven largely by monetary considerations and not given to public service. This is insulting to non-Malays. No one ethnic group has a monopoly on patriotism and public service. It also does not take into account the fact that at one time (1960s – 1980s), when remuneration and benefits were even lower than today (comparatively), the civil service was more representative of our population with many non-Malays serving in senior positions with equal distinction and dedication. The “money” argument is nothing but a fabrication, a rehash of the arguments advanced by our former colonial masters to justify their divide and rule strategy. As an idea, it sits alongside the false posit of the “lazy Malay” and is completely unjustified. The same racist colonial thinking is also evident in the second argument, namely that there are cultural elements behind the low non-Malay participation in the civil service. You mentioned the preposterous view that for the Chinese joining the civil service is “culturally alien.” It was this kind of mindset that gave rise to the colonial view that because of cultural reasons the Malays were only good at agriculture, the Chinese at business and the Indians at hard labor. I would have thought that more than 50 years of independence would have broken that kind of mindset but evidently not. Yet, it is this very real sense of discrimination that non-Malays experience that is really at the heart of the issue you are seeking to address. There can be no doubt that non-Malay recruitment has fallen off sharply over the last twenty years. This is not for want of candidates but simply a result of recruitment policy. As well, there is little doubt that non-Malays are routinely bypassed and passed-over when it comes to promotions and important assignments. An independent study comparing rates of promotion for Malays and non-Malays over the last 20 years in the civil service will very quickly settle this matter once and for all. The sad fact is that non-Malays shy away from the civil service because it is clear that they will suffer discrimination at every level from recruitment to retirement both in terms of promotion and assignment. Sooner or later, they all know that they will hit a glass ceiling, that sooner or later their junior colleagues are invariably going to sit above them. It is terribly discouraging and demoralizing. You also assert that only in certain specific cases (State Religious Affairs) is the particular background of the person taken into consideration. That is an obvious example but I can name you several so-called sensitive departments where non-Malays are excluded. How many non-Malay officers are there, for example, in JPM (Research)? The message it sends is that non-Malays cannot be trusted with sensitive assignments. You have noted that the Federal Constitution “stipulates that job opportunities and promotions in the public service should be awarded fairly to all deserving Malaysians.” Unfortunately, there is a vast chasm between rhetoric and reality as is evidenced by the massive disparity between Malay and non-Malay appointments at the level of KSUs, DGs, Vice-Chancellors, school principals and so on. It may not be official policy but the reality erodes confidence among non-Malays that they are a valued part of the civil service. To be sure, there are some non-Malays in senior positions in the civil service but it is mere tokenism, designed simply to convey the impression that there is equal opportunity. The Malaysian public is not so easily fooled by this chimera. For so long as these unhappy conditions continue, we will never have a service that is truly reflective of our country’s multiracial composition. I find it rather distressing that you are now making the argument that increasing productivity and efficiency is more important than ensuring fair racial representation in the civil service. In promoting this idea, you quoted the example of the Immigration Department which won widespread public support by the effective and timely delivery of services. That a predominantly uni-racial civil service can deliver quality service is not in contention; the issue is whether it serves the interests of our nation to have a civil service that is not fully representative of our society. Is it good for national unity? Is it consistent with the Prime Minister’s 1Malaysia policy? Does it allow the nation to profit from the brightest and best of its people? Does it allow us to harness the strengths and talents of all our communities? You, and the senior management of the civil service, have it in your power to change things and make things right. I am convinced that this is not a difficult thing to do if there is the political will, the courage of conviction and a paradigm shift (to use a much maligned civil service phrase) in mindset. ♣ Publicly state your goals in percentage terms concerning the racial composition of the civil service and set quotas to achieve those goals at every recruitment exercise. ♣ Build a culture of excellence irrespective of race or religion. I hope you will not take offence over the frank and direct manner in which I have chosen to respond to your article. You raised some very important issues which I felt deserved a considered response. I believe that unless we are able to frankly and honestly discuss these and other issues confronting our nation, we will never be able to make real progress or embrace our destiny as a great and unique nation.